Australasian Cinema and Francophone Cinema were explored on the third and final day of the Childhood and Nation in World Cinema Symposium. The day opened with a panel session on Australasian Cinema with discussants Karen Lury (University of Glasgow) and Hannah Kilduff (University of Cambridge) who gave generous and insightful readings of the three papers by Greg Dolgopolov (UNSW Australia), Qiu Zitong (Ningbo Institute of Technology, Zhejiang University) & Ivana Pražić (Sydney University), and myself Susan Danta (UNSW Australia). These papers shared a common interest in the figure of the child as ‘lost,’ whether in the space of the physical landscape or in the imaginary space between conflicting identities. In his paper, Lost & Found: Toomelah and the Found Child Trope, Dolgopolov contemplates the figure of the child in the Australian landscape, arguing “the lost child is a persistent one in Australian literature and Film.” Dolgopolov argues that whereas the ‘colonial child’ becomes ‘lost’ in the Australian landscape, the indigenous child is incapable of being lost in their land. The indigenous child is not lost, but ‘stolen’ and seeks a return to their land, one that “feels you…knows you.” (Satellite Boy, 2012). Dolgopolov gives examples of haunting disappearance of young colonial girls in Peter Weir’s Picnic at Hanging Rock (1975) and complex history of the indigenous child in Ivan Sen’s Toomelah (2011). The young protagonist David is a want-to-be ganster who has a strong sense of his own cultural identity. Contrasted with him is his aunt, who returns to the Toomelah mission after being removed as a child. In their joint paper, Blind Pig Who Wants to Fly: Cinematic childhood as an emotional space, Qiu Zitong and Ivana Pražić reflect upon the figure of a child that is lost in the emotional space between two conflicting cultural identities. Zitong and Pražić’s reading of Chinese Indonesian filmmaker Edwin’s Bling Pig Who Wants To Fly (2009) explores cinematic experience as both ‘aboutness’ and ‘towardsness’ of emotion (connected to minority of Chineseness in Indonesia) that become a way of thinking about emotions through the lens of cinematic childhood. My paper titled, Graphic Tales: Class, Violence and South Korean Childhood in Sang-Ho Yeon’s animated film, King of Pigs explores the figure of the animated child as one that represents the loss of childhood altogether in an emotionally stunted adult world. King of Pigs is a striking and confronting animated film, which uses an awkward, garish aesthetic intensifying the raw emotions experienced by the characters in the film. Based on the director’s own experience of schoolyard bullying and violence, the medium of animation starkly contrasts adult themes with a comics aesthetic associated with childhood. All three films discussed in the Australian Cinema panel were based on autobiographical experiences of the filmmakers. The childhoods explored were intimate and deeply personal individual experiences spoken through the figure of the cinematic child. The second session was a panel on Francophone Cinema. Fiona Jenkins (Australian National University) and Claire Launchbury (UNSW Australia) were the discussants for papers by Victoria Flanagan (Macquarie University), Hannah Kilduff (University of Cambridge) and Emma Wilson (University of Cambridge). The papers in this panel shared a common concern for the way in which the child subject becomes an allegory for power and politics. Flanagan (Macquarie University) explores the ideologically complex relationship between “the child subject and citizenship” in her paper about two documentary films, Citizenship in the Classroom: The Politicisation of Child Subjects in To Be and To Have and The Class. Flanagan contrasts the ideological approaches of the two films. In To Be and To Have, the classroom represents the ideals of a liberal democracy. 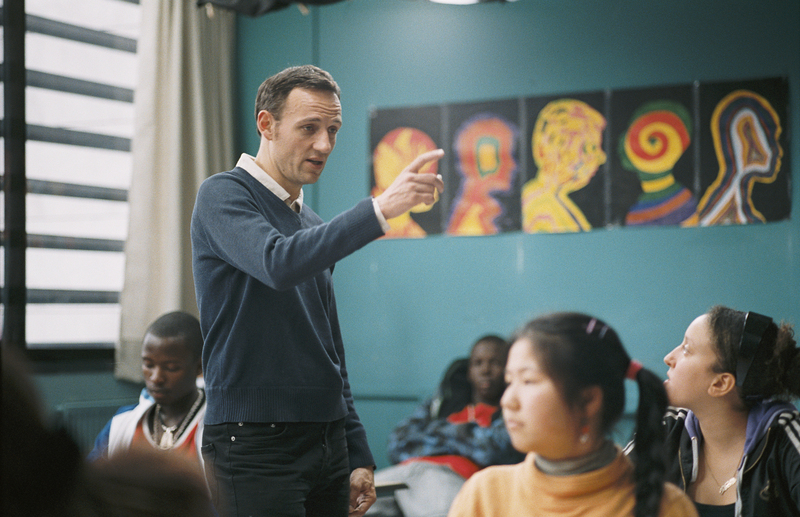 The teacher sits amongst his students; the classroom provides a calm, studios environment; and principles of equality and inclusion are evident in the classroom. In The Class, however, the classroom is a site of conflict and contestation. The double movement of children to adulthood and migrant to citizen is fraught with struggles and uncertainty. Kilduff (University of Cambridge) explores the figure of the child as negotiating “the universal and the specific, the historical and the personal…” in her paper, The child as hyphen: Yamina Benguigui’s Inch’allah Dimanche. Kilduff employs Powrie’s concept of ‘heterospection’ (Powrie 2005) to “describe the real power of the child in film” – that is, the way in which the child collapses time and ‘defamiliarizes the world’ for the adult spectator. Perhaps what I gleaned from these sessions is the inextricable link between children and power, children and time, and children and sense of place. These were fascinating papers enriched by equally fascinating responses from the panel discussants and the symposium format enabled a depth of engagement that was, personally, incredibly inspiring.